I have to admit, it’s a bit weird to be this excited about something as utilitarian as a backpack. But when my 20L Everyday Backpack arrived, it was like unboxing some kind of highly anticipated new gadget. I immediately began excitedly exploring all of the pack’s different features and thinking of ways I could use them. 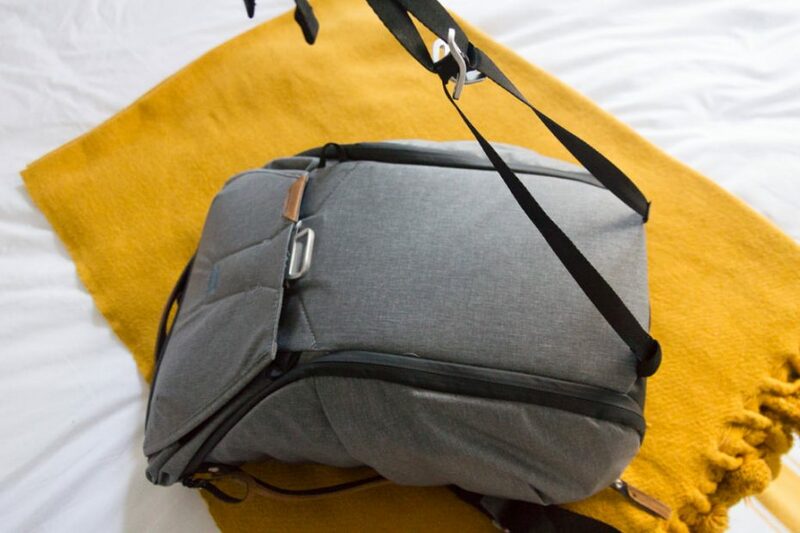 Seriously, this is the most clever and versatile backpack I know. 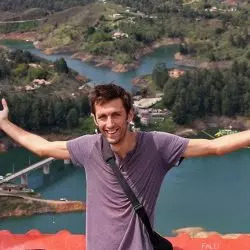 I first learned of the Everyday Backpack through its Kickstarter campaign a couple of months ago. While I hadn’t heard of the company Peak Design, their pitch was so compelling that I decided to back it. Now that I’ve put this pack through its paces, I can’t recommend it more highly. 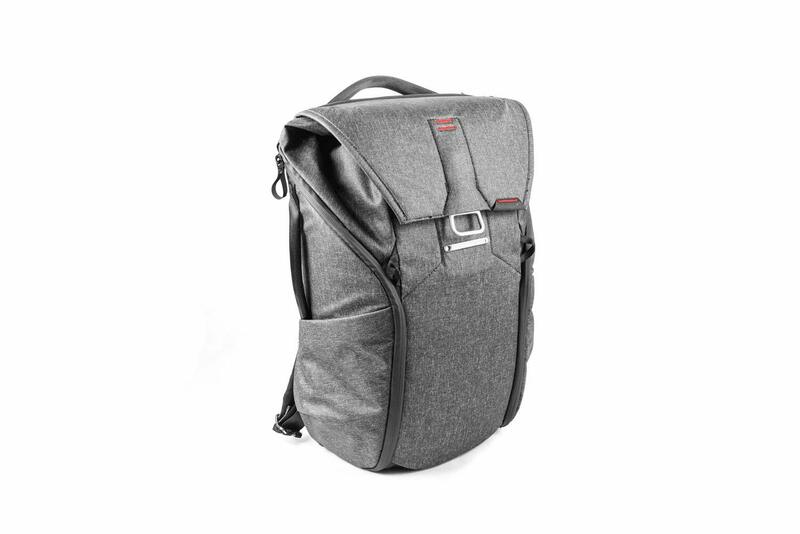 This pack is primarily marketed as, well, an everyday backpack for everyday use, but I think it also happens to be a killer travel backpack, especially if you carry any electronic devices with you like a camera or laptop/tablet. A key feature is its main compartment, which has three fully customizable wall dividers. You can even fold these walls open to create internal shelves, which is totally nuts. I travel with an DSLR camera with an extra lens, and it’s always a pain to store these, but here I can give them individual compartments that fit like a glove. I also made a snug little shelf just for a travel guide. If you need just one big compartment, you can also just rip out the walls entirely. What’s great about this design is that you don’t need to open the top to access things at the bottom. You can just swing the pack around and zip it open on either side. This means even the items at the bottom of the pack are within instant reach. 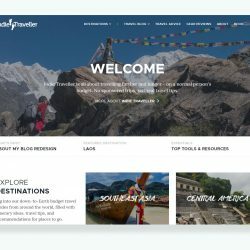 This kind of design is especially great for photographers, or for digital nomads with a particular need for organization, but it’s versatile enough to be used for any purpose. The main top compartment has a magnetic latch, always snapping neatly into place. This means you can open and close it easily even with one hand. Each side flap has an integrated accessory pocket, perfect for storing smaller items like batteries, SD cards, or travel documents. Side pockets easily fit a large water bottle or even a tripod or GoPro with monopod attached. The back panel is attached with velcro; strip it loose and you can tuck something in there behind your back. I’ve used this to quickly store a hoodie or rain jacket when not in use. The top expands to create an additional 8L of space should you need it. 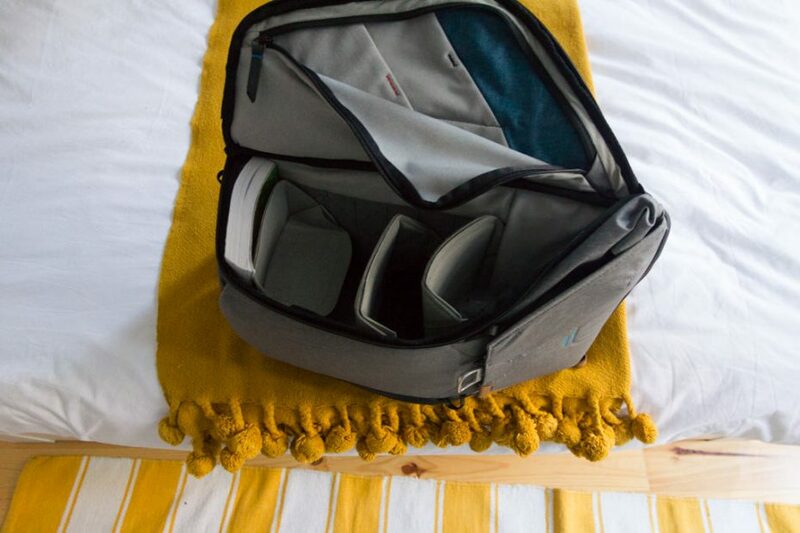 The laptop compartment fits a 15” laptop and also has two sub-compartments for various uses. It’s a bit difficult to explain its versatility by just describing it, so be sure to watch the video above. This pack does cost a bit more than your average standard pack, though it’s a pack I’ve been extremely happy to use. 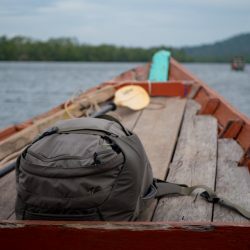 It’s made me retire my old travel daypack, so now I travel with the Everyday 20L in combination with a 40L Osprey Farpoint (the latter I use to store my clothing, toiletries and other basic travel items). I actually can’t find any fault with this product. 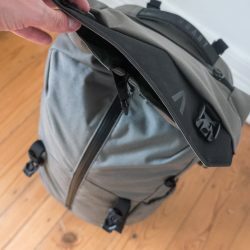 Perhaps the only thing I’d say is that after using it for a month, the top flap got a few wrinkles in it from stretching it out to max capacity. This is not something that bothers me, but it does make it look ever so slightly different from when it comes out of the box. 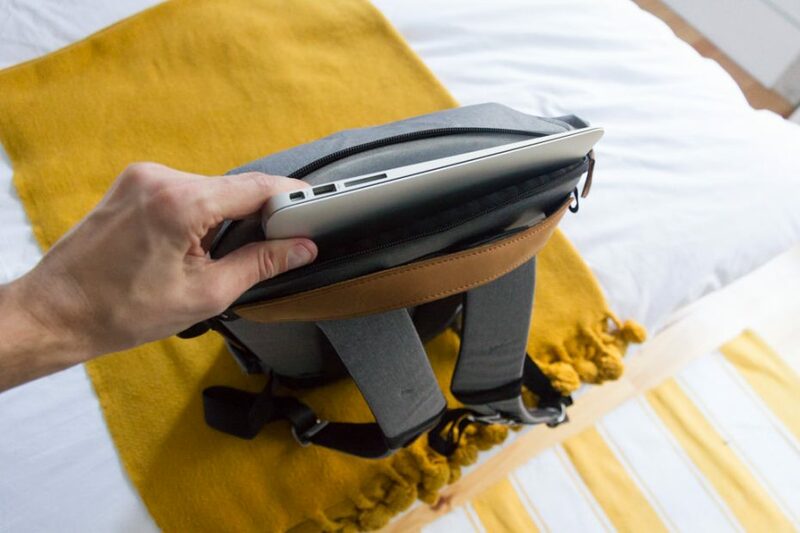 After being initially available to backers only, the Everyday Backpack can now be purchased from Peak Design’s website as well as on Amazon. Each side flap has an integrated accessory pocket, perfect for storing smaller items. Costs more than your average pack. 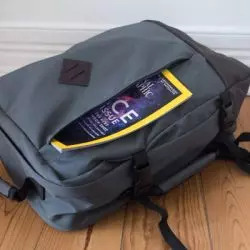 Hi, I’m going to SEA for 2 months in May and I’m wondering how the Peak backpack fits into a Farpoint 40. Hey Arman. It could certainly fit inside a Farpoint 40, but I’m not sure if you’d want to do that, as you’d be left with only half the Farpoint bag for putting other stuff in. If I were to use this backpacks together, I’d probably use them separately!